Fabric Crib Quilt Panel To Sew. This a new fabric panel. Measures approximately one yard - 36" long by 44" wide. 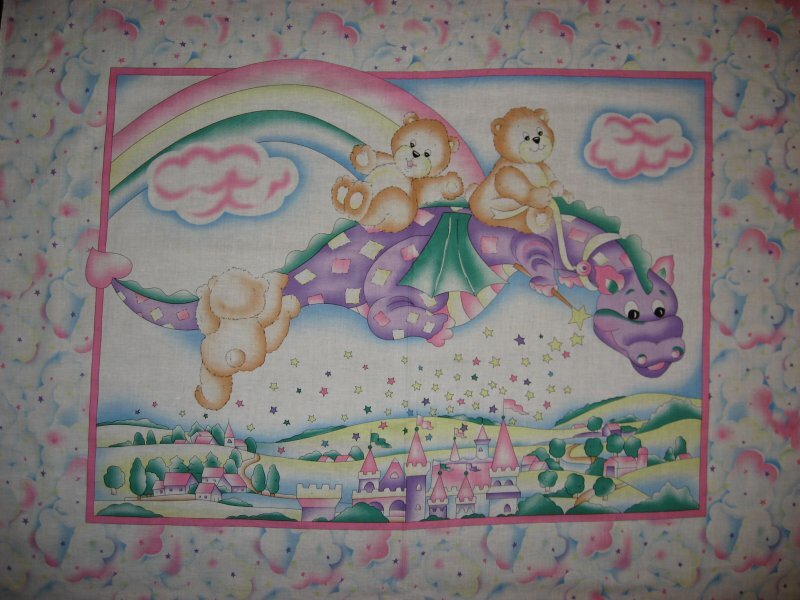 This panel has cute teddy bears riding a purple dragon over a castle and town. There is a rainbow in the background. This panel has a wide pretty border.